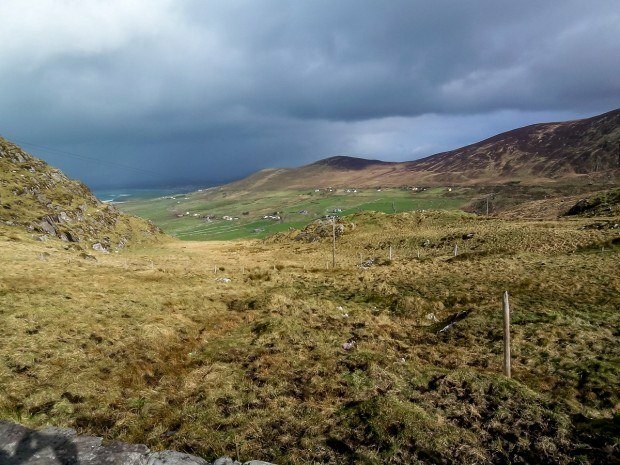 In the spirit of seeing a lot in a short period of time, we somehow managed to complete two very popular drives in southwest Ireland in just one long day. 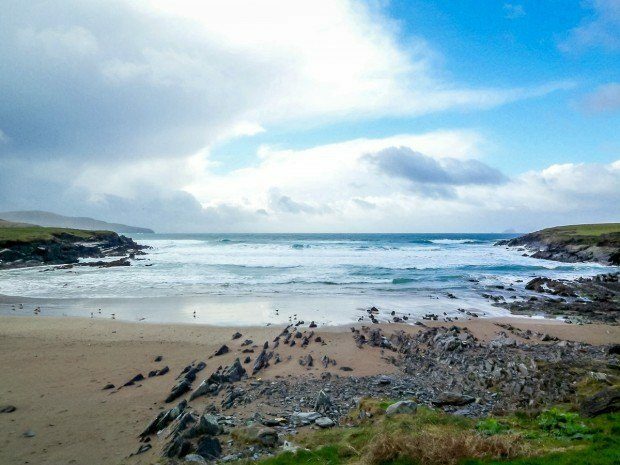 But which did we like best – Dingle Peninsula or Ring of Kerry? 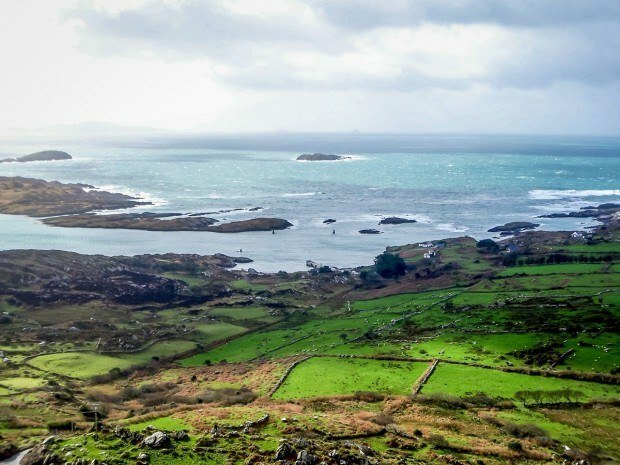 The Ring of Kerry is a route of rolling hills and jagged coastline. 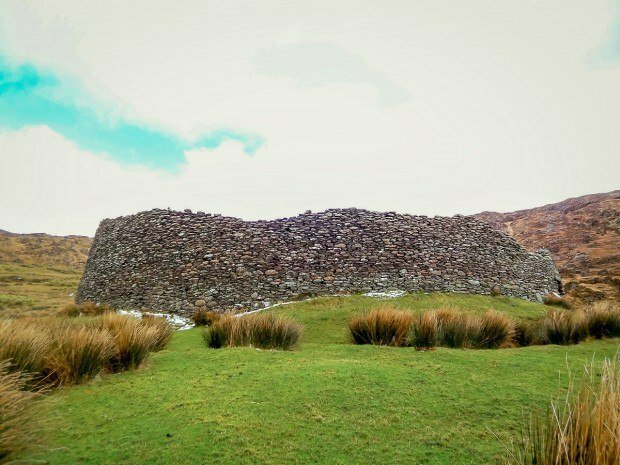 Along the way, the prehistoric Staigue ring fort, which dates from about 300 AD, is still open for exploring, and wildly colored vegetation dots the landscape. There are also sheep everywhere. 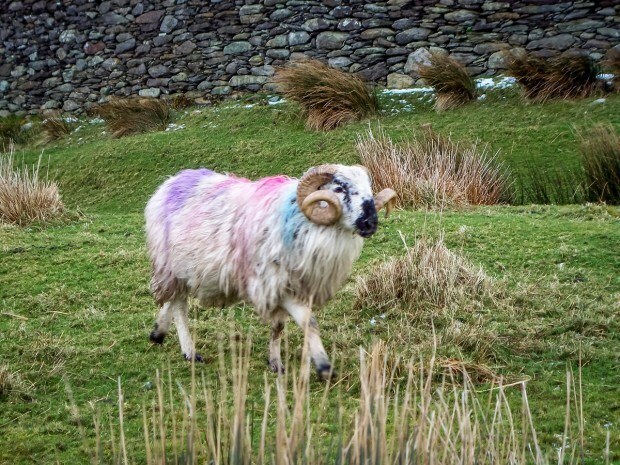 In breeding season, they, too, can give the appearance of being wildly colored—the sheep are marked with different colors that rub off on their partners when they breed. If the weather had been better, we would have tried for a visit to the island of Skellig Michael just off the coast, but it was not to be. At 180 kilometers, it’s not a short drive and is nearly four times longer than the drive around Dingle Peninsula. If anything, the length is probably its downfall because it leaves you feeling like you’ve driven a very long way and not seen all that much. So many sheep of so many colors! We had been warned that the Ring of Kerry was a bit overrated and packed with traffic. We were actually surprised at how little traffic there was on the narrow, winding roads (March is certainly not high season here), but the overrated assessment did prove to be true. Even if it didn’t quite live up to our hopes, it was a lovely drive even in the overcast weather. The Dingle Peninsula is what we had thought the Ring of Kerry would be. It’s a much more leisurely road, though still as curving and narrow. The area is a Gaeltacht (a place where the Irish language Gaelic is spoken), so many of the signs aren’t in English, which gives it a fanciful quality like you’ve stepped into the Lord of the Rings. 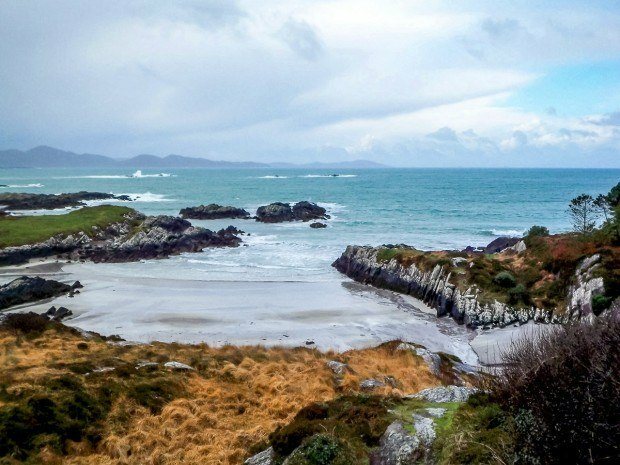 The drive itself offered spectacular views of the rocky coastline of Ireland and a number of sights along the way. 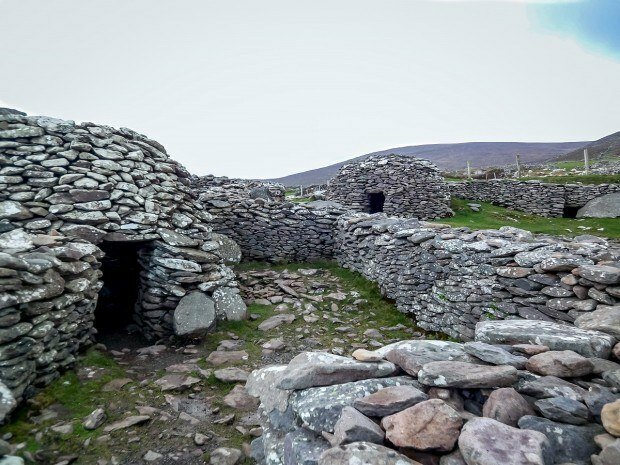 The first sight was a series of beehive huts, called clochans that are thousands of years old and were built by the early settlers on the peninsula. Later on, the ruins of the Reasc Monastery offer a glimpse of what early Christianity was like on the peninsula. 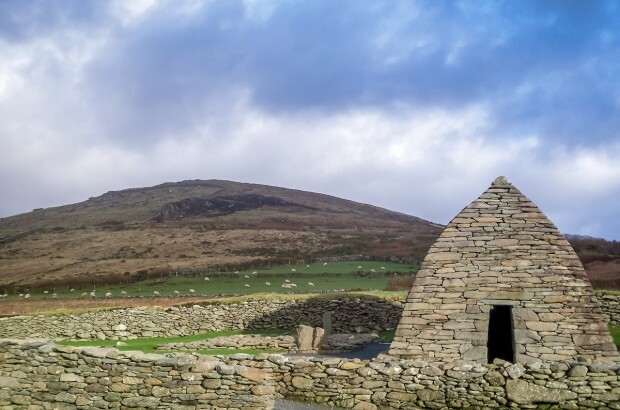 In addition, one of the absolute highlights of Dingle was the Gallarus Oratory. It’s an old church (likely about 1400 years old) that is still intact, still waterproof and still impressive. 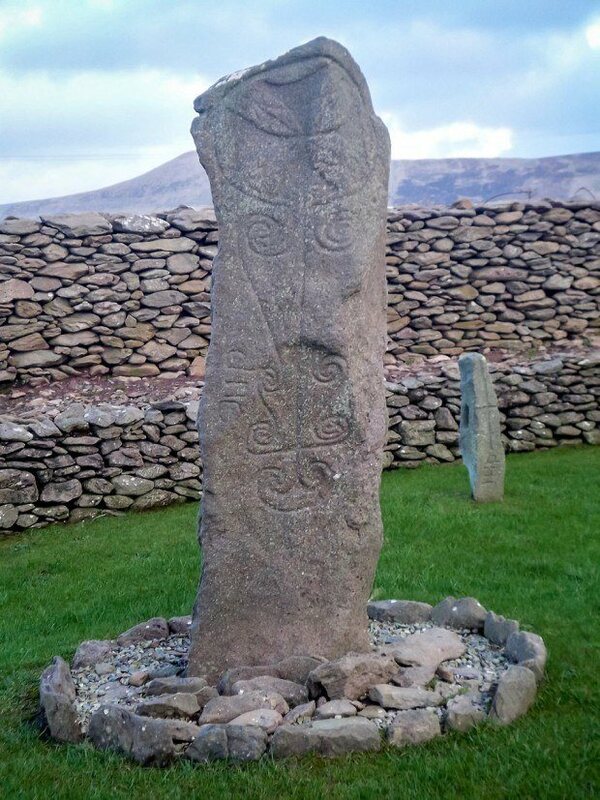 Just as we got to the Gallarus Oratory, the clouds cleared and the sun started to come out. It was absolutely gorgeous! 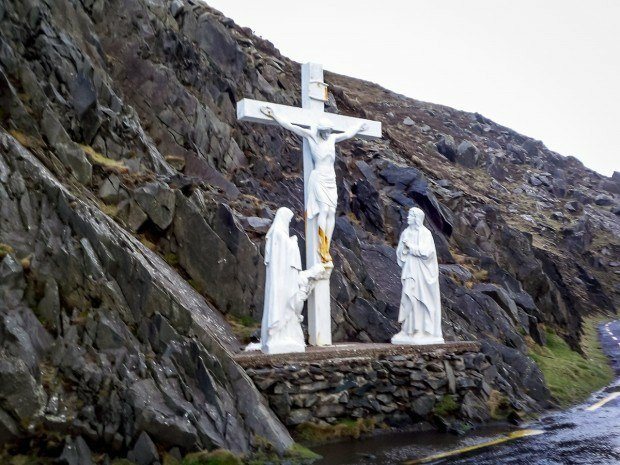 In addition to the ancient sites, Dingle Peninsula is dotted with personality-filled villages where you can stop for a bite to eat or some shopping. The best things in these little towns are the spirits of the people and the music. There’s just something so welcoming about Dingle that it became one of our favorite places in all of Ireland. Have you driven the Dingle Peninsula or Ring of Kerry? What did you think? Summering in Sicily–Where to Go on a One-Week Road Trip Discovering My Love of Tea in Ireland Top 10 UNESCO World Heritage Sites to Visit Picking a Park on the Riviera Maya — Xcaret or Xel-Ha? 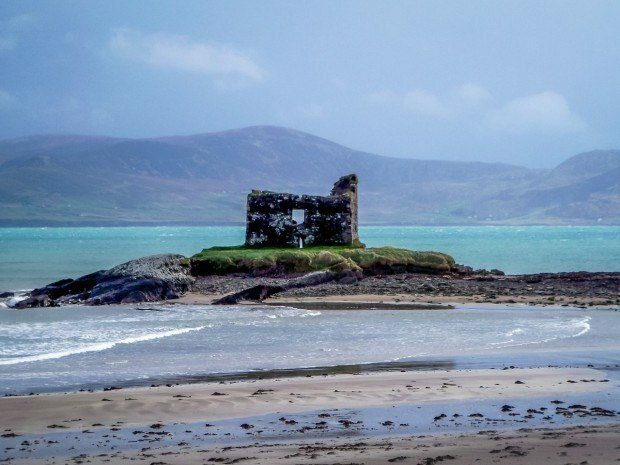 What do you think about Ireland’s Dingle Peninsula or Ring of Kerry? Have done both……Kerry several times……Dingle over and over! There is no comparison. This article is right on. We even rented a cottage and stayed on the Dingle Peninsula for a week. 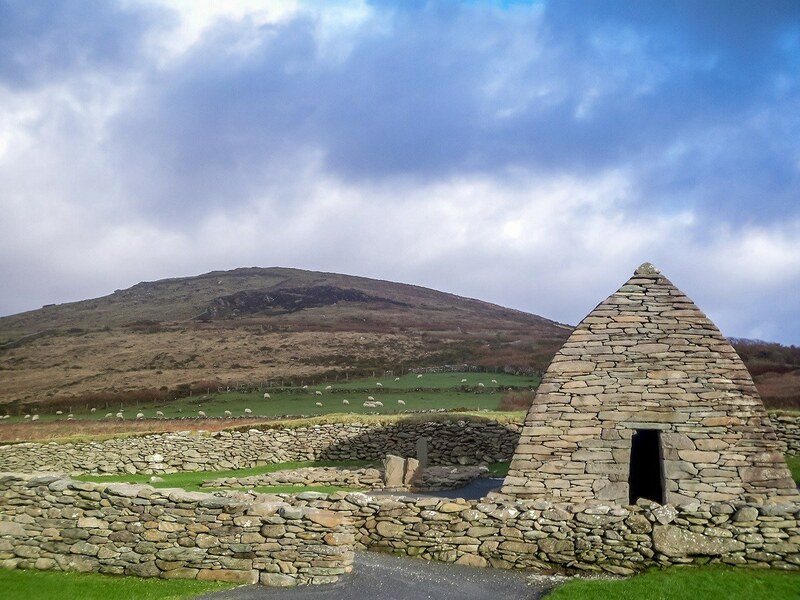 Don’t miss the Blasket Island Heritage Center. We missed the Blasket Island Heritage Center. We were there in the winter, so it might not have been open. I can’t remember.